He also said he is happy that the space for those who don't treat women with respect and dignity is closing. 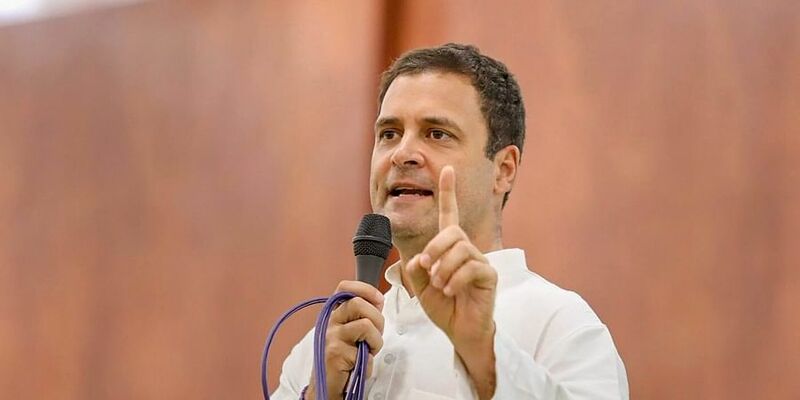 NEW DELHI: A day after ducking a query related to the ongoing #MeToo India movement against sexual harassment, Congress president Rahul Gandhi has gone online to support the cause.Rahul, on Thursday, while addressing a press conference to discuss the Rafale jet deal, had refused to take a query saying it was not related to the issue at hand and that he would come out with a response later. “It’s about time everyone learns to treat women with respect and dignity. I’m glad the space for those who don’t, is closing. The truth needs to be told loud and clear in order to bring about change,” Rahul tweeted on Friday.Later, party spokesperson Shaktisinh Gohil said the stand of his party had been reflected in the response of Gandhi, who has been working towards opening the party for women. Congress president Rahul Gandhi on Friday hailed environmental activist G D Agarwal for his contribution towards saving the Ganga and vowed to take his fight forward. Agarwal,86, passed away on Thursday, 111 days after he began a fast for a pollution-free Ganga.